Since he first moved to New York City in 1976, renowned photographer Joe McNally has been out on the streets, shooting everything from dancers to tower climbers and fashion icons. On most shoots, he uses DSLRs. Until now. 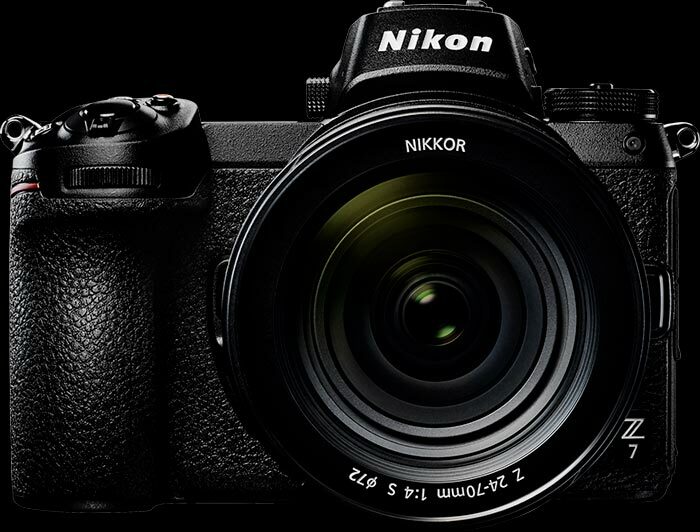 McNally traded his DSLR for Nikon’s newest portable and lightweight mirrorless camera: the Z 7, perfectly suited to the hunt-and-seek photography that gave him his start. For one week, we tagged along as Joe explored locations across the city, testing out Nikon’s latest features in his signature style. “I’d usually charge you $1,000 for that photo, but today I’ll give you a $999 discount,” the street performer said as he looked up from his saxophone to find Joe McNally taking his portrait. McNally, had first spotted Les’ hands through the crowd on 54th Street and Fifth Avenue. “They’re really expressive, nimble, and attuned,” McNally said. McNally had started wide before moving mid-range and finally on top of Les as he finished up the last verse of “Take Five.” The two got to talking. “There’s two types of photographers out here on the streets,” Les told McNally. “There are the people who kind of sneak a picture of you from a distance, and then move on. And then there’s the ‘documentarian’—the one who will really get in your space.” McNally laughed. He’s the documentarian. But this time was different: McNally was using a street shooting camera, a soundless and discreet instrument that doesn’t disrupt the moment. “The Z 7 is just more adaptable to the street,” McNally said. “It’s light, fast, and quiet.” Feeling energized by the first shoot, Joe was eager to see the saxophonist in his element, playing in a space where people from the five boroughs rub elbows in front of a smoke-filled stage: the Paris Blues Jazz Club in Harlem. Les wouldn’t know this until he spotted McNally in the crowd the next day. Later that week, McNally moved downtown to the Manhattan Cricket Club on West 79th Street, to further test the Z 7’s portability, along with its high ISO capacity. The morning after, McNally paid a visit to Les at his home in Harlem to get a peek at his morning routine. “I’m really enjoying the camera—it’s light, unobtrusive. I’m loving the “i” button, which gives me all of my commands right there in the viewfinder. I can shoot five or six pictures, then release the shutter and have them all appear in front of me. Then I can just tap the multi-selector button and it’s 100% magnification, so I can instantly tell whether I’m sharp or not. I have a shortcut programmed into my DOF button for my flash works. So I’m literally keeping my eye on the camera very faithfully now, because I’ve got all of those controls right there. I find that to be very handy in the field." This content is made possible by our sponsor; it is not written by and does not necessarily reflect the views of The Atlantic’s editorial staff. See our advertising guidelines to learn more.